As I travel to the various cemeteries where those who we’ve lost lie on the first anniversary, it will be an all too familiar scene. I no longer need to search through my phone to find the grave markings and numbers for each person. I can stand in the graveyard and look out, identifying in my mind who lies where, but unfortunately knowing them only by name and the stories of them shared with me by their families. The first ever funeral I took part in was my father’s, in August 2016. Exactly a year on, I found myself burying several victims of the Grenfell fire. In all, I was involved in the burial of 43 out of the 72 who died. A stark reminder of just how precious and temporary our lives can be. And why, more than ever, the fight for good, justice and kindness is needed. As we mark one year since the Grenfell Tower Fire, etched in my mind are the stories of loss endured by the many families whose lives were turned upside down a year ago today. 12 months on, having first hand witnessed the consequences of what is one of the worst tragedies the UK has seen, we try to answer questions about Grenfell and where things are today. Theresa May impulsively said in the days after the fire that all survivors would be rehoused within three weeks. It was a huge task but an unrealistic deadline, today, 15 households remain living in hotels, with a further 69 in temporary accommodation. Some could total wait a full 15 months or so since the fire to resettle. Family representatives working with our team at the Grenfell Muslim Response Unit have several families whom have accepted offers for housing, but are waiting to be able to move in. The original 138 households in the tower and Grenfell Walk split into 203 units, and the council states there is a shortage of affordable housing in the borough. The council, RBKC, has since bought 307 homes for £235m, mostly in north Kensington, Ladbroke Grove and Notting Hill. What is the future of the tower? Earlier this year, the government agreed the community would decide on “a fitting memorial to remember those who lost their lives”. Demolition of the building is the most likely outcome, but any work is unlikely to start until next year once the police finish their investigations. One idea is a memorial garden, whilst the nearby tube station to the tower has also been suggested to be renamed as ‘Grenfell’. How are people coping mentally? Children across seven schools were affected by the death of pupils or staff and a near 1,000 adults have been screened for post-traumatic stress disorder. Several hundred have since been treated but the task is a huge, and some say that the potential extent of psychological affect could extend to first responders and community volunteers. Has anyone been held to account? Two organisations, the Royal Borough of Kensington and Chelsea and the Kensington and Chelsea Tenant Management Organisation have been identified by Scotland Yard as suspects in relation to potential charges of corporate manslaughter. However, it will be a further long marathon, most likely post the inquiry, for us to hear anything more on this. Last week, news emerged that senior officers of the London Fire Brigade were now facing investigations over the ‘stay put’ policy that resulted in residents being told to remain in their homes as the fire spread. Experts highlighted earlier this month that the Grenfell Tower Fire inquiry could take several years, possibly will in 2020. There are over 1,500 pages of evidence about the cause and spread of the fire, the evacuation process and what happened immediately after the fire began. A second leg of the inquiry will commence next spring which will focus on the refurbishment and how the tower became such a fire risk. In the proximate aftermath of the fire there was speculation that as many as ‘hundreds of people had died. Forensics have since established that there were 71 fatalities. The figure later increased to 72 to take into account the death of Pilly Burton, whom was one of the last people to be evacuated and sustained injuries and medical implications as a result of the fire. Our team at the Grenfell Muslim Response Unit carried out 46 of the 72 funerals over the course of the year. How are people remembering Grenfell today? Across the UK, commemorative activities will take place to show solidarity with those affected by the fire. Here in London, several activities and events are scheduled to take place. The silent march, which takes place on the 14th of every month, hopes to see thousands in attendance today. A nationwide minute of silence was held at 12pm today, communities across the country fell silent to remember the victims of the devastating blaze and those affected by the inferno. 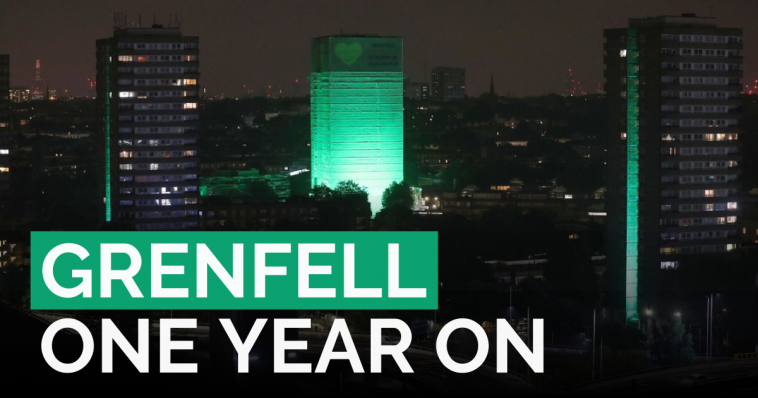 Elsewhere, Muslim charities who came together to form the Grenfell Muslim Response Unit have gone green as part of Green For Grenfell Day, which will see several dozen official buildings illuminated, school children wearing green and organisations marking the day with Grenfell green heart logo. 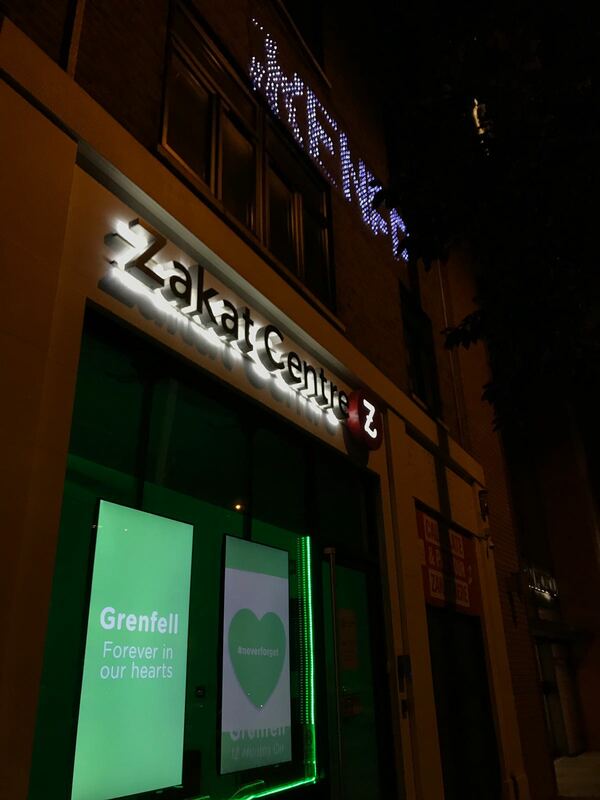 The National Zakat Foundation offices could be seen yesterday lit in green light with messages of remembrance. 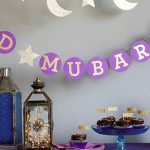 Other funders including Muslim Aid, Islamic Relief, the Aziz Foundation and Ha Meem Foundation are expected to join in later this evening. Later this evening, the Silent march is expected to close with a Grenfell Open Iftar which is being organised by the Ramadan Tent Project and is being funded by the Grenfell Muslim Response Unit. 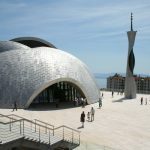 The silent walk and iftar is expected to see over 3,000 people in attendance. How do you cope? It’s a common question. The answer is simple yet agonising. The reality is that I have found a resilient perseverance within myself, that same resilience that we as a community found , the same resilience that survivors continue to display, and that same resilience that will unite thousands as they mark the anniversary. My life has changed. Before Grenfell, I had focused on delivering aid to poverty-stricken regions abroad. 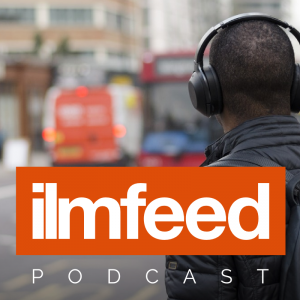 Since Grenfell, although international struggles bear immense weight among my priorities, my focus has shifted more towards home, specifically to the role of zakat (the Islamic principle of a “faith-based tax”) in supporting those in need here in the UK. Though the remains of our loved ones were buried, their legacy and stories remain. We must use these stories as anchors in our efforts for justice, our perseverance and our commitment to ensuring we never have to bury so many of our loved ones after a tragedy ever again. We must remain, United for Grenfell.